Gruzzle tried to make her laugh. 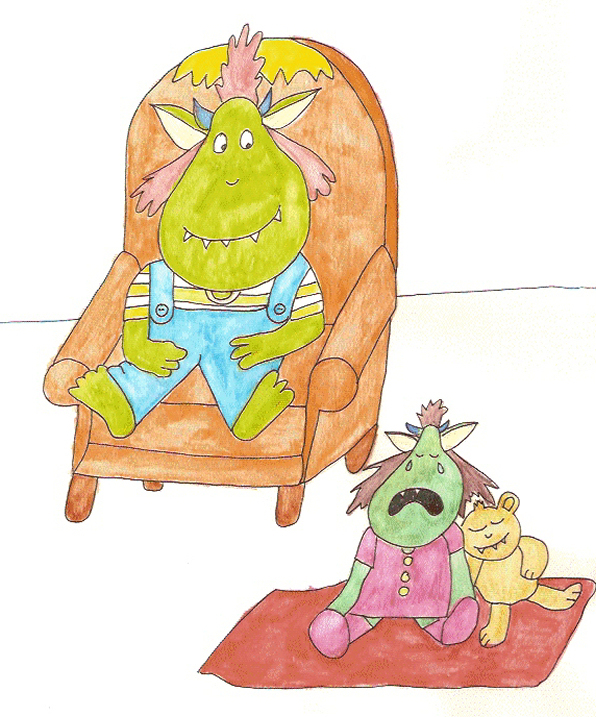 He told her jokes and made funny monster faces, but Mizzle wouldn't stop crying. He got on his knees and crawled along the floor. “Look at me, Mizzle. 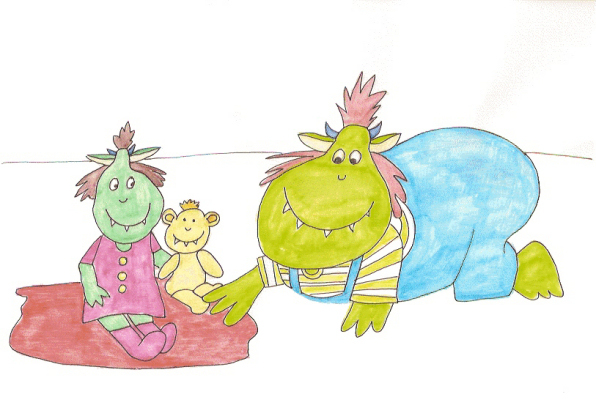 I'm a dinosaur.” Gruzzle roared and moved toward her. 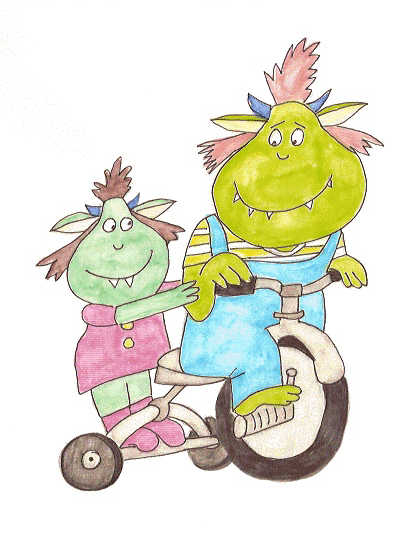 Mizzle stood on the tricycle and Gruzzle rode it around the house. She laughed and even left her teddy bear lying on her favorite red blanket. But as soon as Gruzzle stopped peddling, she started crying again, so he had no choice but to drive around until his mother came home. The front door opened. “Mommy!” Mizzle jumped off the tricycle and ran to give her mother a hug. Gruzzle was glad to see her. Now he could stop pedaling around the house. He went to his bedroom and shut the door and for the rest of the day he enjoyed the quiet, with no little sister to bother him.